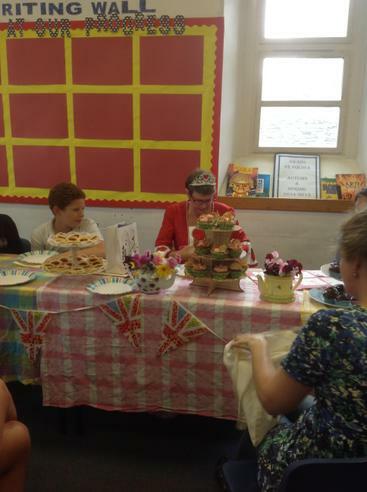 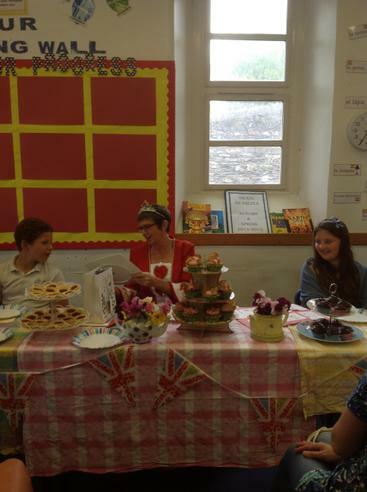 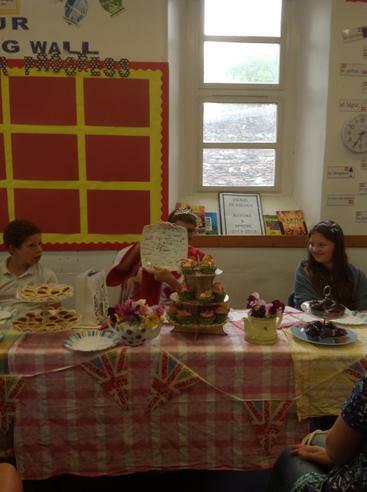 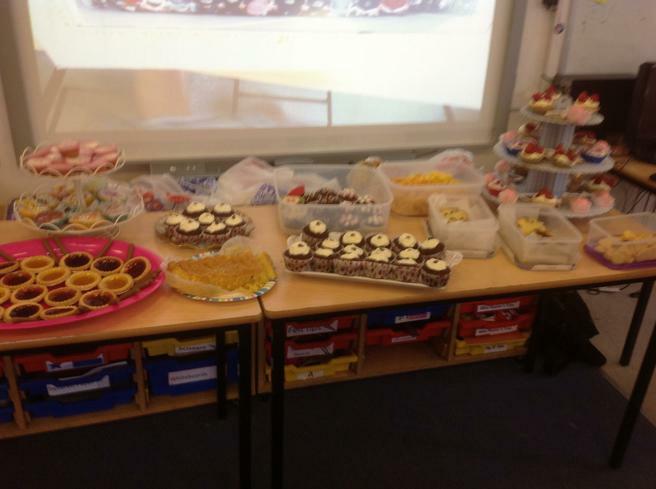 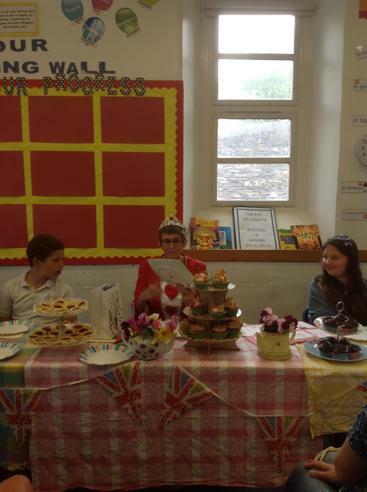 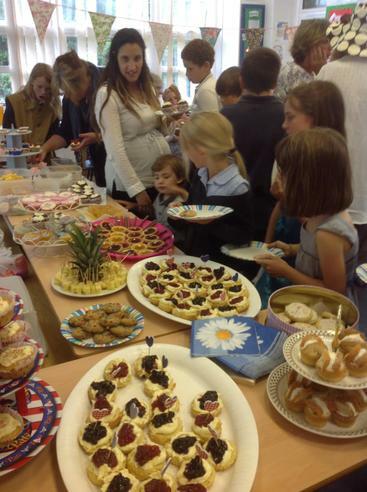 Plates and plates of cakes, posies of flowers and bunting were brought into school this morning by parents and children to help us prepare the school for Mrs Broad's 'Mad Hatter's Tea Party'! 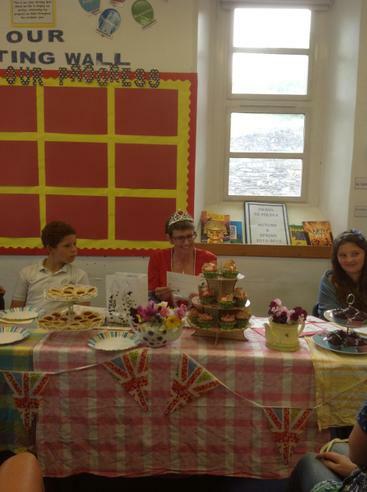 Mrs Broad, our longest serving member of staff, is retiring at the end of this term and the children decided that they would like to hold a tea party for her. 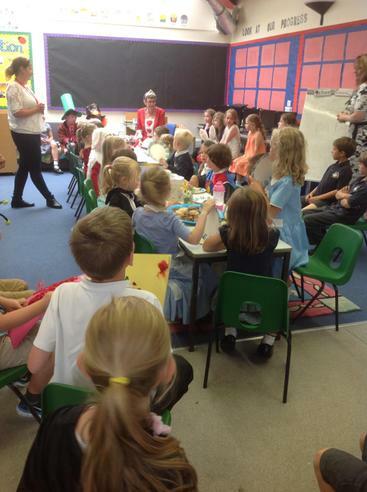 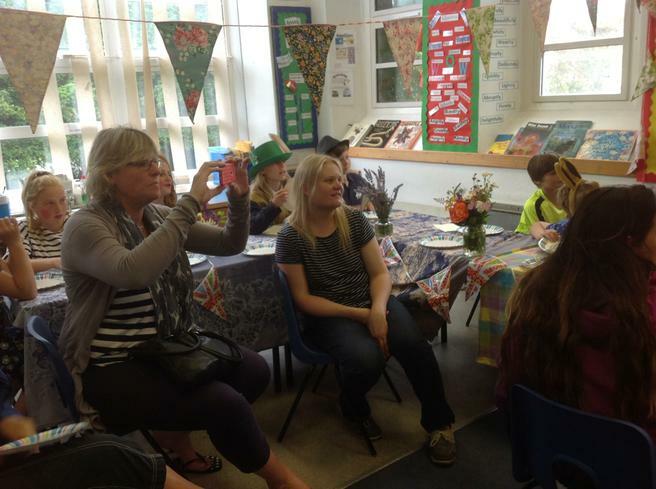 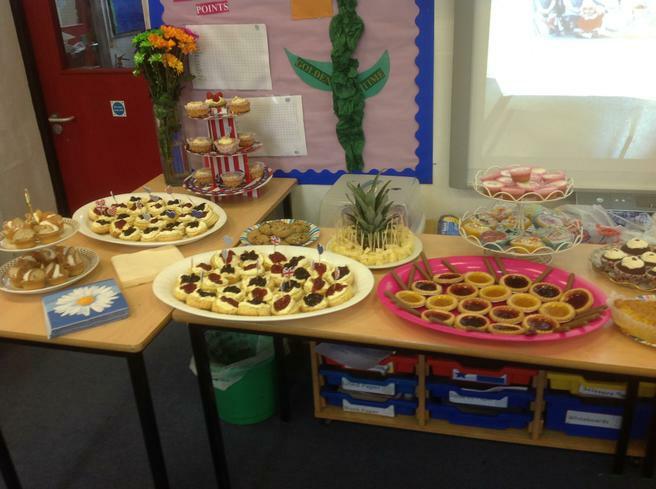 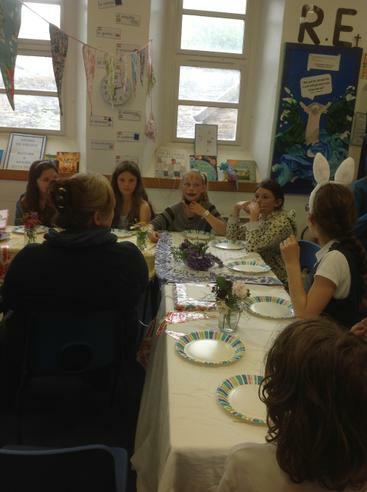 After a lot of thought it was agreed that a 'Mad Hatter's Tea Party' would be a lovely way in which to celebrate Mrs Broad's time with the school and for the children and parents to say "Good-bye" and wish her well. 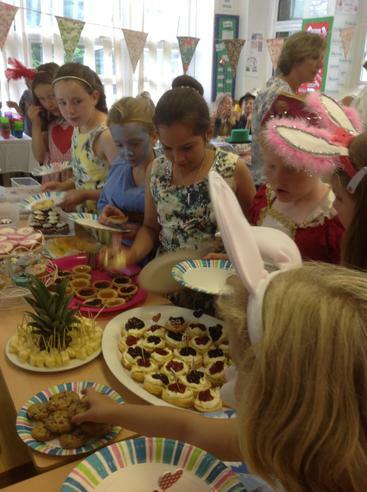 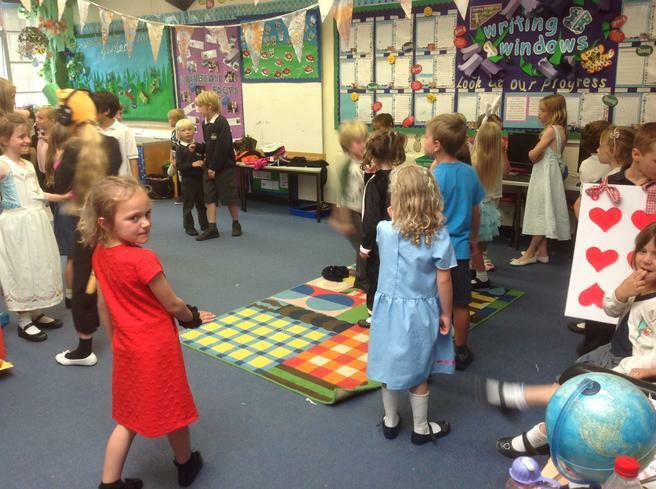 Many of the children and staff brought costumes into school to change into .... it was amazing to see so many characters from 'Alice in Wonderland' come to life! 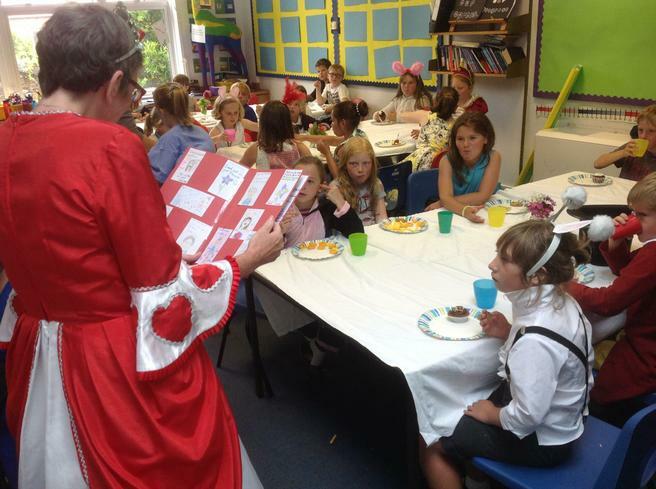 Miss Amos was a beautiful 'Alice' and Miss Harvey and Miss Naylor caused a lot of laughter dressed as 'Tweedle-Dum' and 'Tweedle-Dee'! 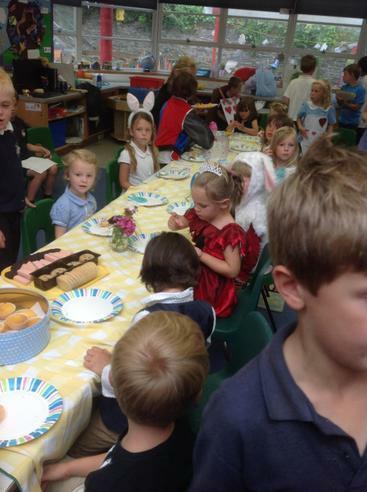 By the end of the afternoon the school was full of 'White Rabbits', 'Cheshire Cats' and even a few 'Caterpillars'! 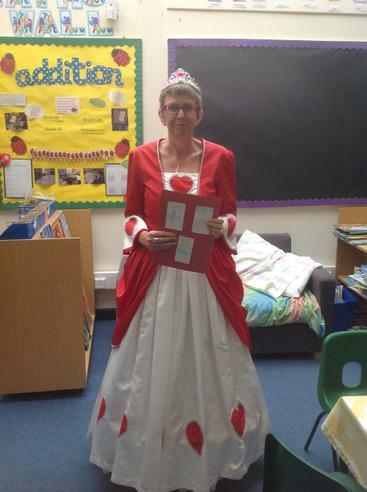 Our 'Guest of Honour' arrived dressed as the 'Queen of Hearts', which she most certainly is, and was escorted to her 'throne' by Mrs McCarthy-Patmore. 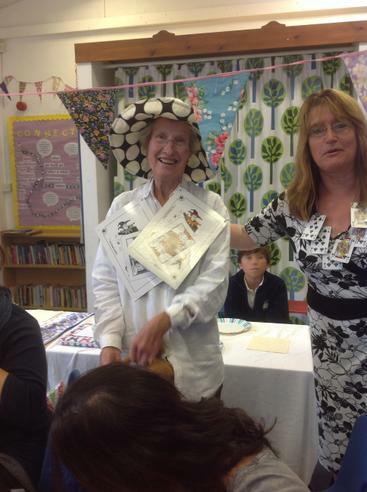 Surrounded by the children, Mrs Broad was presented with an array of gifts from children, parents and staff. 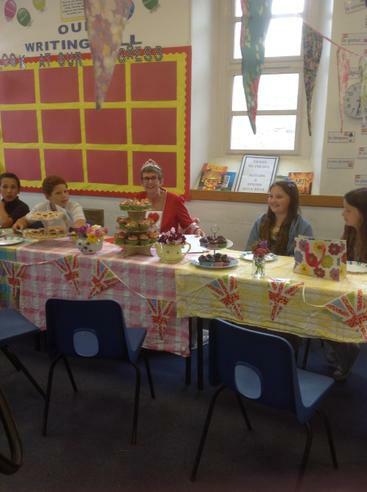 Several former pupils returned to the school for the first time since leaving to go to secondary school to see Mrs Broad on her last day. 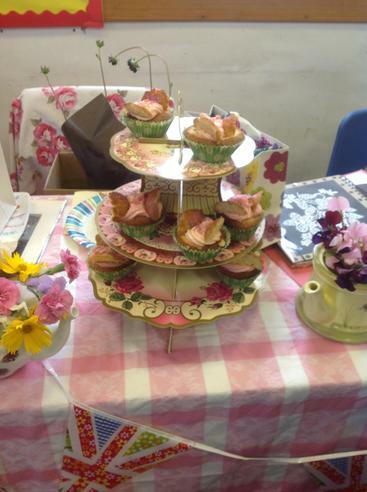 After an afternoon full of tea, cakes and jam tarts (!! 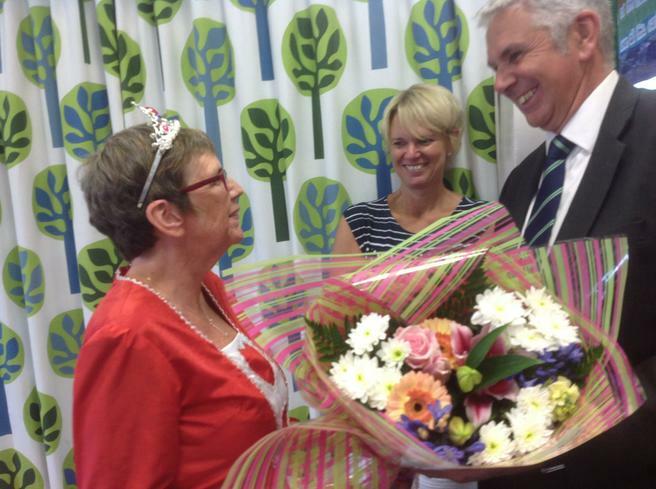 ), Mr Jones presented Mrs Broad with a beautiful bouquet.